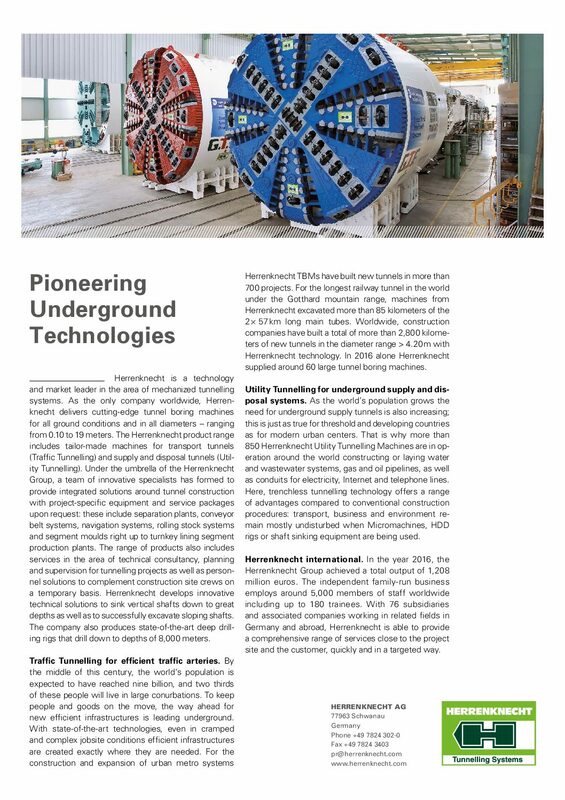 Herrenknecht is a technology and market leader in the area of mechanized tunnelling systems. As the only company worldwide, Herrenknecht delivers cuttingedge tunnel boring machines for all ground conditions and in all diameters – ranging from 0.10 to 19 meters. The Herrenknecht product range includes tailor-made machines for transport tunnels (Traffic Tunnelling) and supply and disposal tunnels (Utility Tunnelling).